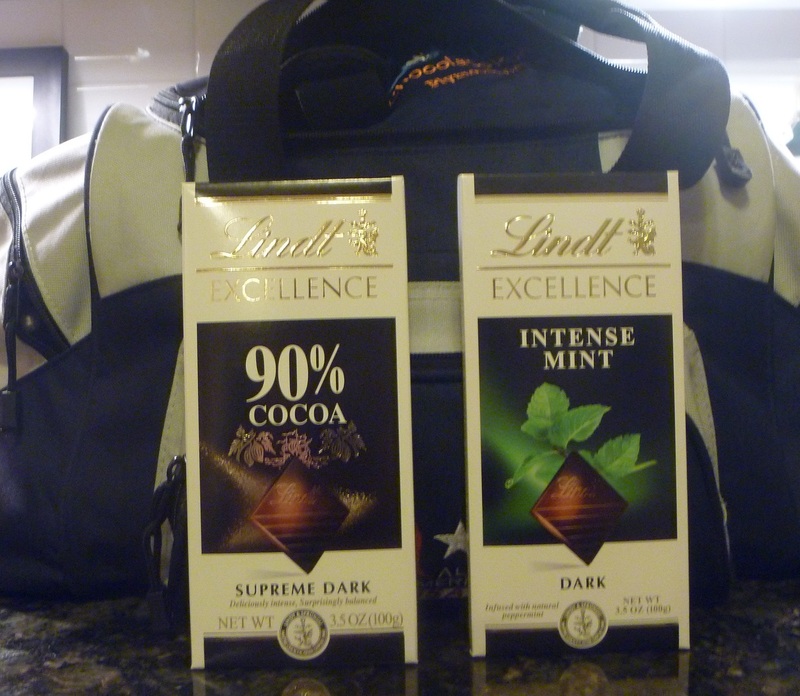 An event that combines running and chocolate? Sounds darn near perfect to me. No way I was going to miss Sunday’s inaugural Kona Chocolate Run in Plymouth. And it was over 60 degrees at race time. T-shirts and shorts in late November! Who cares if it rained a little? 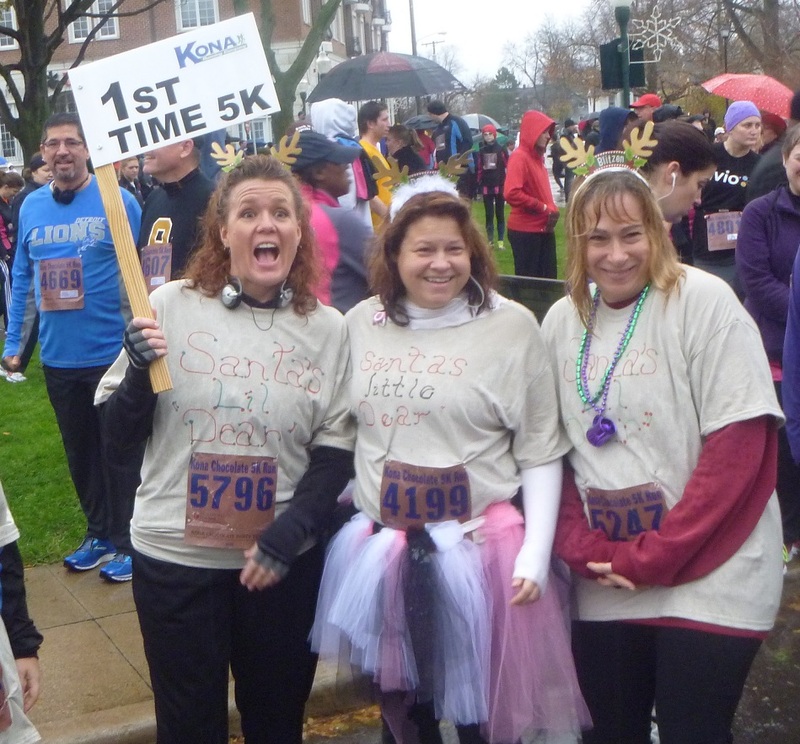 The final turnout was over 6,000 runners – an amazing turnout for a first-time local race. That’s what the word “chocolate” can do for you. And contrary to the “chocolate event = all women” stereotype, some men ran it, too. I think I saw both of them around mile 4. The youth turnout was pretty good, too, although I’m not sure that all of them were enthusiastic about being there. As usual for the Kona races I was a 52:00 pacer for the 10K, and one of my regular pacing partners, Theresa (shown here) carried the sign while I took pictures. 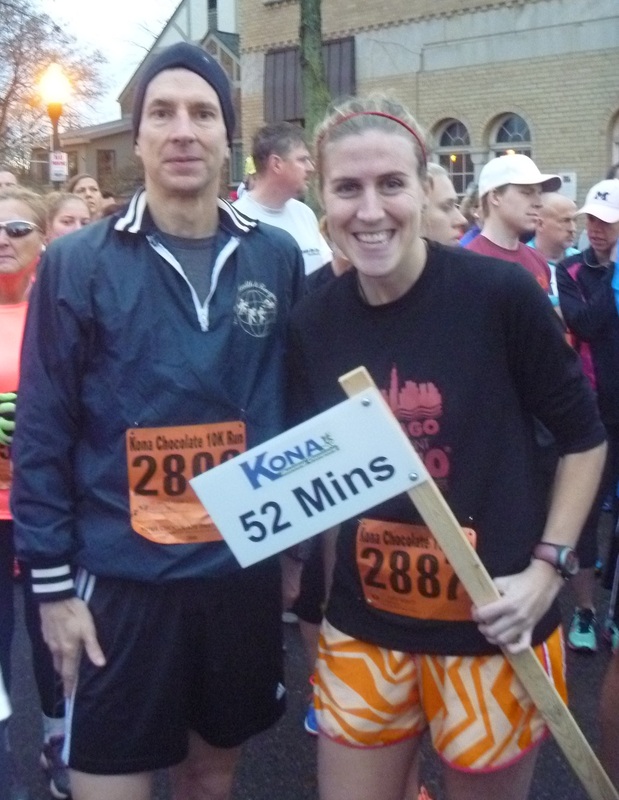 And as usual, we had fun bickering about whether we were on pace or not. Complicating things was no chip timing – everyone’s time was measured from the gun. Since we started back in the pack, our on-time pace meant we actually crossed the finish line around 52:30. Bummer for those who wanted to get a PR but didn’t line up near the start! After the 10K I returned to the pacing area, to find out they needed someone to carry the “1st time” sign for the 5K. “When does it start?” I asked, only to hear the Star Spangled Banner being sung for it. So straight back to the starting area I went. So much for a cup of hot chocolate between events. And while we waited for the horn, it rained on us. Ah, such is the life of a volunteer. What would you do for chocolate? Good stuff, if you can get to it. I crossed the finish line a second time, and my job was done. Time for chocolate! Except the line into the tent o’ goodies was about a 5K long. (Did I mention that they had over 6,000 runners there?) Given that chocolate was involved, I’m amazed there wasn’t a tent-flattening stampede. Just goes to show you, runners really are a well-mannered breed. I headed down the street to Espresso Elevado and got a mocha and chocolate chip biscotti. Several other runners were also there getting hot chocolate, heartily agreeing that it was worth a few bucks to avoid the line. And an actual restroom sure beats a porta-potty. So no complaints. 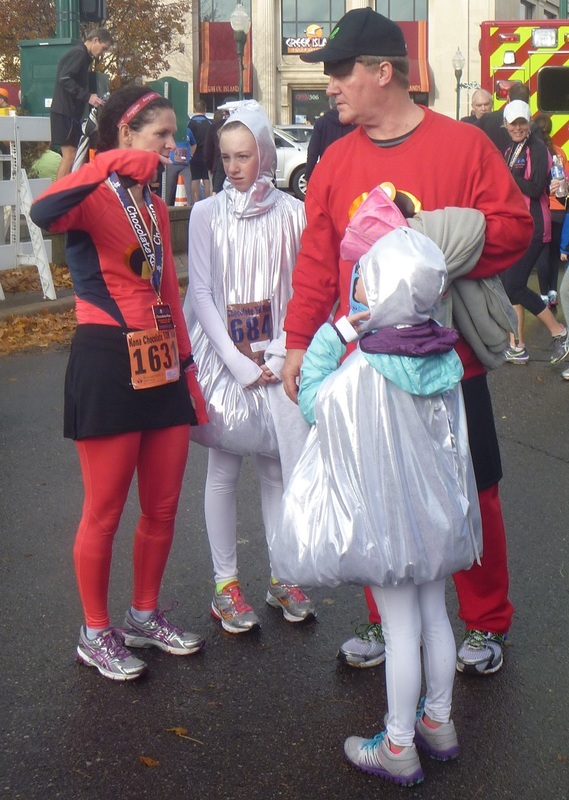 Looking forward to next year – where I just might have to make myself invisible after the first race. Oh, and how about this? According to the race results, Eric Stuber, age 50, finished the 10K in 35:25 (a 5:43 per mile pace). Not only did he win his age group, he finished first overall. That’s right – a 50-year-old won the 10K. Such is the power of chocolate. I have a tempo run tomorrow. Hope these are enough. 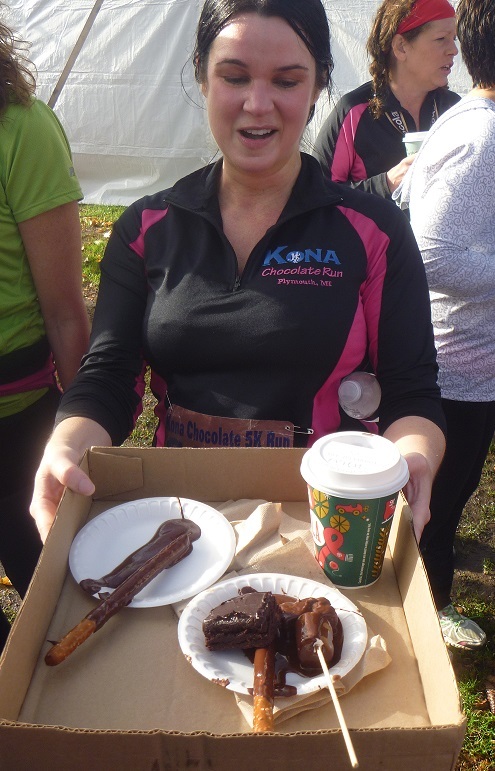 This entry was posted in Running & Cycling and tagged 10K, 50, chocolate, fitness, Kona Chocolate Run, plymouth, Running. Bookmark the permalink.